The inner market is a licensed wholesale market. This is where all the auctions take place as well as where the majority of the fish processing happens. There are approximately 900 wholesale dealers with stands and stalls inside the inner market. The hustle and bustle of the market makes it an exciting place to shop or just stand around and take it all in. The outer market is an eclectic mix of retail and wholesale shops that sell everything from groceries to restaurant supplies. You can find some of the best Japanese kitchen tools here as well the top sushi restaurants in the world. But make sure you come early; the outer shops mostly close by early afternoon and the inner market shuts down even earlier. 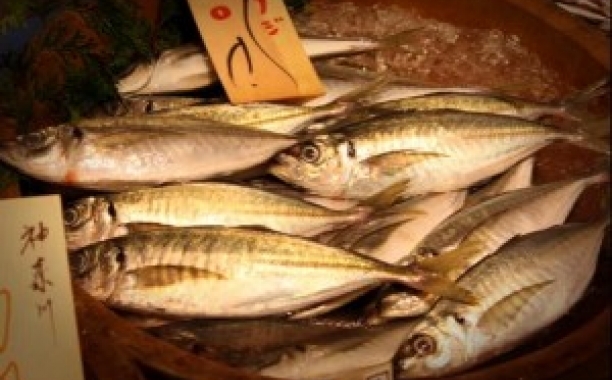 The market opens at 3 a.m. with the influx of shipping trucks and the morning’s catch coming in. The first auction starts a little after 5 a.m. and end around 7 a.m. Be sure to watch for the unloading of the tuna, a tourist favorite due to the exciting methods used and the general urgent motions of the workers. 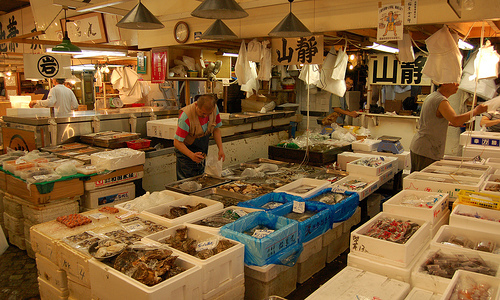 Experience the over 400 different species of seafood at the Tsukiji fish market. Whether you want caviar, seaweed or whale, Tsukiji has the best Japanese Food you’re looking for! 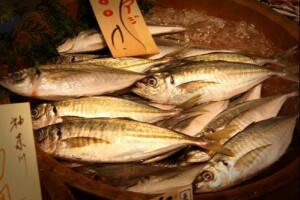 Note - Tsukiji market has closed and has been relocated. Please read about it here. POGOGI loves adventure and travel almost as much as Japanese food.